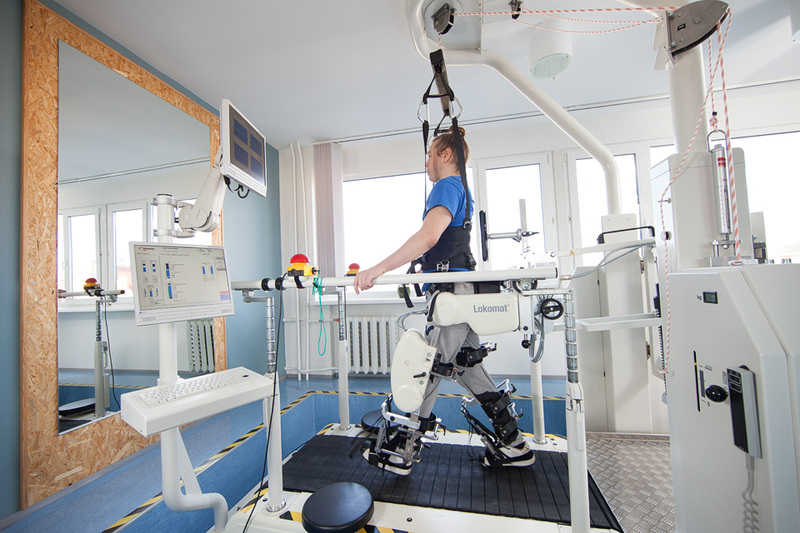 The Lokomat consists of the robotic gait orthosis and an advanced body weight support system, combined with a treadmill. 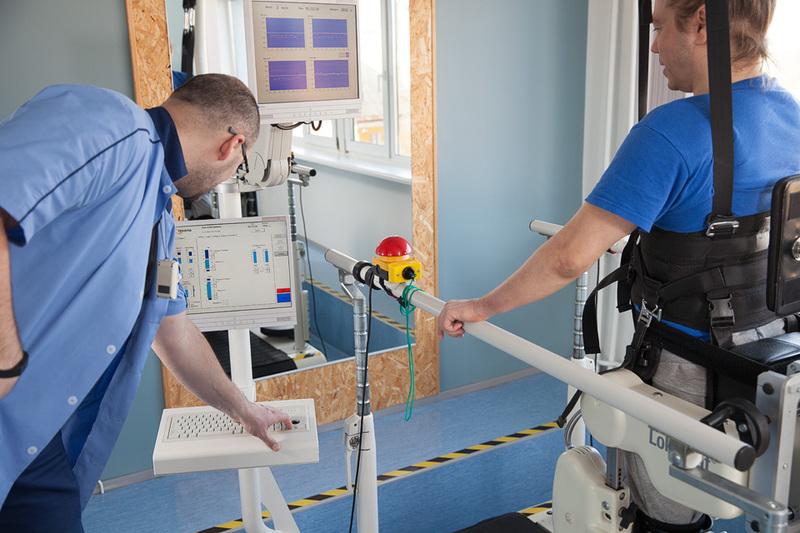 Computer-controlled motors, precisely synchronized with the speed of the treadmill, move the patient’s legs through trajectories that mimic physiological gait patterns. A convenient user interface allows the therapist to easily operate the Lokomat and adjust training parameters to suit the individual needs of the patient. An integrated biofeedback system monitors the patient’s gait and provides real-time visual performance feedback to motivate the patient for active participation. In comparison with regular movement therapy, the training on Lokomat provides faster progress through longer and more intensive functional performance. As a result of this “task-specific learning” based on neuroplasticity, the device is improving people’s ability to walk after disability caused by brain and spinal cord injuries, stroke, or other neurological or orthopedic conditions.